Join Wild South and volunteers for a work day on the Pinhoti trail. McDill Overlook, or McDill Point as some call it, is a popular point that is frequented year round by many hikers. It affords a stunning, nearly panoramic view of the Talladega Mountains. Because of it’s popularity it sees a lot of recreation impact. Confusing social trails cause hikers to get off track. Wild South volunteers will work to mitigate these issues. We will also replace the McDill Overlook sign that is old, worn and has been tied to a tree. Please meet at the state park store at 9 a.m. From there we will caravan to the Cheaha trailhead (leaf gate). Round trip for this work day is approx. 4 miles round trip and is rated moderate to difficult due to the significant elevation gain and loss. Please bring water, snacks, lunch and work gloves. 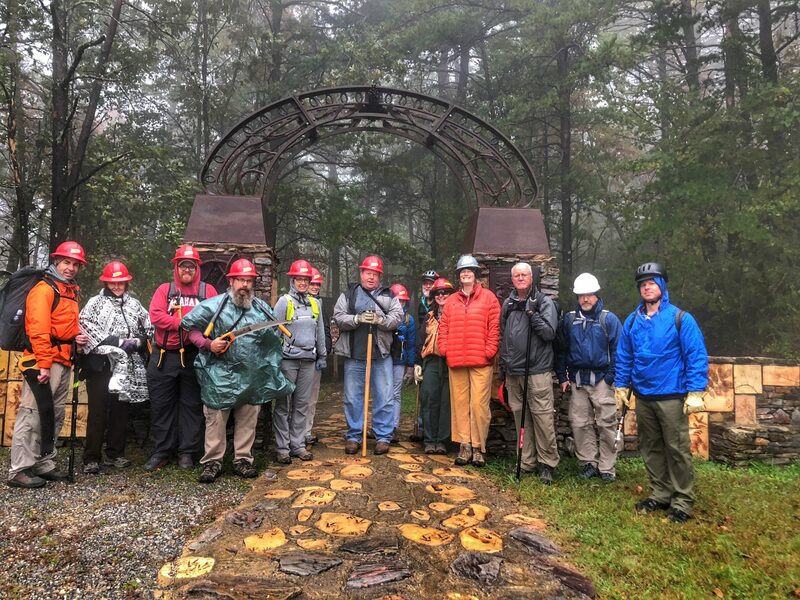 All trail tools will be provided including a work helmet and safety glasses which are required by the Forest Service to do volunteer work on public land. Dress in layers. It can be pretty windy and exposed in this area. To sign up or ask questions, you must email Kim Waites. kim@173.236.11.114 Please state the number in your group and a contact number.